Camellias are a favourite shrub and are ever popular as garden plants, Camellia Clubs and Societies are just one of the many Gardening clubs and Societies that you can join. Further your knowledge of Camellias or many other species of plants as well as sharing your own knowledge with a new group of like minded gardeners. Gardening clubs and societies. Many Camellia Societies hold annual flower shows as well as talks and demonstrations. 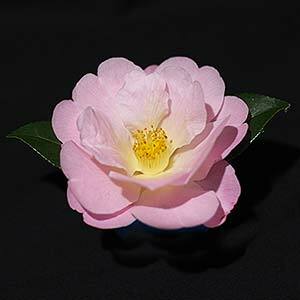 You will also find information on rare and hard to find species and cultivars, a must for the Camellia enthusiast. Pictured right we have Camellia japonica ‘Nicky Crisp’ from the Camellias Victoria annual flower show. Monthly meetings, speakers, blooms competitions, field days, shows and displays. Victorian Camellia Championship and floral art championship every year, have field trips, nursery displays, grafting days etc. Meets 2pm 3rd Saturday of the month Feb – Nov Coniston Community Centre Bridge St Coniston. Metts 3rd Thursday of the month March to October. 8pm Burnside Community Hall, Fisher St Tusmore. Meets 1st Sunday of the month.